The village named 39 Kanuwa lies in the Thelulla area of Sri Lanka, some 18 kilometres sounth of the town of Wellawaya and an equal distance from the town of Thanamawilla. Life and work in this village commenced in 1960 when 205 families engaged in traditional farming methods. Regrettably, significant environmental damage was caused by such early agricultural methods through the cutting down of the large trees of the area. Now the second generation of farming families are required to cope with severe drought and barren landscapes. One resident named Mr Somapala was the first man in the village to use water machines for the production of small scale economic crops, notably onions. 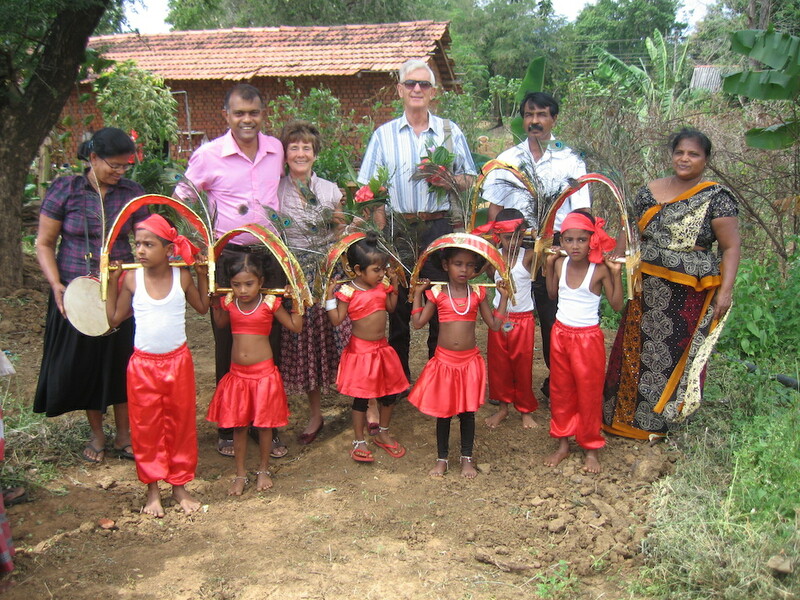 In February 2014 Mr Somapala generously offered to donate land for the purpose of providing a permanent well for the village and the Trustees of Project Sri Lanka agreed to fund this worthy cause. The well in 39 Kanuwa measures 20 feet in diameter and is 20 feet deep. 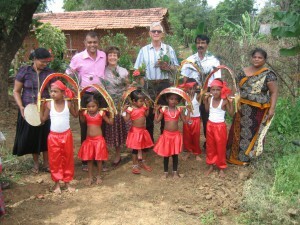 It has enabled the production of crops for ‘community farming’ and supply to the whole village. Crops grown include a variety of short, medium and long term produce such as red onions, tomatoes, chillies, eggplants, pumpkins, papayas, pineapples, mangoes and coconuts. Such community farming also enables employment for local people. Thus the project in this village has enabled economic development as well as the provision of a water supply. It has transformed village life in very positive ways. By 2016 a complete transformation of the land could be observed – with vast areas being devoted to the growing of new crops and expansion of land devoted to the cultivation of traditional ones. When Trustees returned to this village in 2018 they were saddened to learn of the exceedingly serious recent droughts. However, the irrigation system remains well in place awaiting the filling of the well. Rice is grown and dried for eating and for sale. Other drops include limes, coconuts and bananas.